The Tennessee Immigrant & Refugee Rights Coalition (TIRRC) is a grassroots organizing and advocacy organization focusing on improving the lives of immigrants and refugees in Tennessee through community organizing, leadership development, education, and direct services. Across the state of Tennessee, staff at TIRRC work out of three different offices. Trying to maintain a database and build a subscribers list was difficult because everyone at TIRRC was doing it individually – there were no standards for data entry, so information often got duplicated or lost. TIRRC wanted to be able to effectively track donor information in order to continue to fund their work against anti-immigrant legislation. With their Databank solution, all the information is now housed in one place where any staff member can access it no matter what office they are in. Starting out with a Databank system to keep donations and supporters centralized in one location, TIRRC quickly realized that their donation forms needed to be more detailed and interactive. Rebecca Hall, Finance Manager and main user of the Databank, brought an idea of what they needed to thedatabank, and she worked with our tech team to ensure the new forms were built just how they wanted, and quickly so they could be up and running right away. One of the things Rebecca liked best about working with thedatabank was if she was asking for something new to be built for her system, thedatabank’s support staff would “ask for specific dates and be honest about whether the timeframe would work or not.” Having access to a responsive support team with a high level of expertise allowed Rebecca to both try new things and get issues resolved efficiently. With all of their information in one system, TIRRC was able to cut down on duplicate information and data silos, along with using more streamlined tools for their fundraising efforts. In one instance, TIRRC switched selling tickets to a fundraising event from strictly at the door paper sign-in sheets to offering online and offline sign-ups. They went from having 100 pages of sign-in sheets that would then have to be entered manually into a database to selling 500 tickets online, out of a total of 750 tickets for the event. 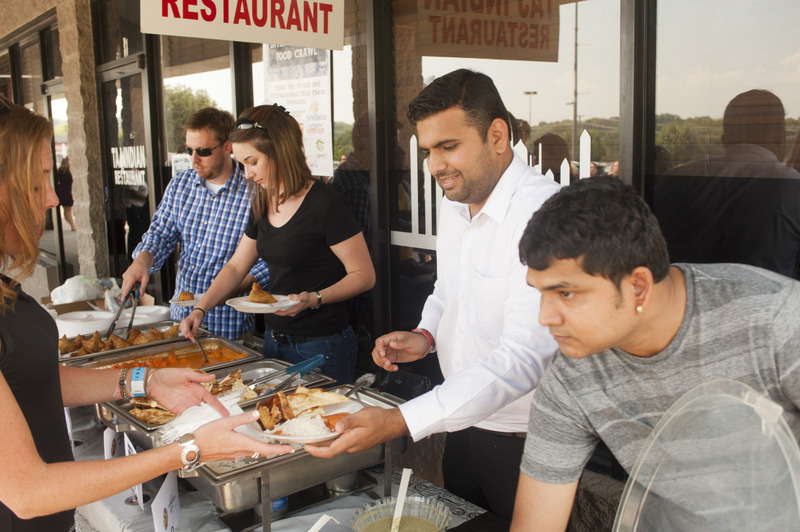 With a combination of online sales, day-of sales, and sponsorships, the 3rd Annual InterNASHional Food Crawl raised $25,000 for TIRRC – over three times the amount raised the previous year. TIRRC’s Databank allowed them to effectively manage ticket sales leading to a fun, exciting InterNASHional Food Crawl fundraising event.